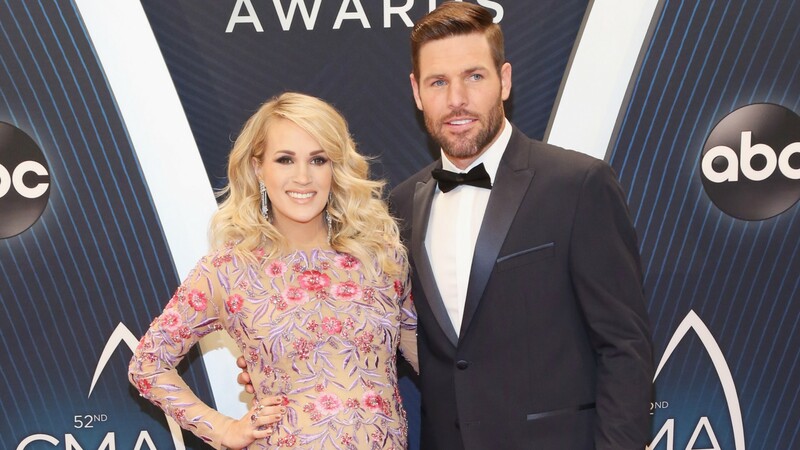 Monday, Jan. 21, 2019, just became a very important day for Carrie Underwood and her family because on that day, she and husband Mike Fisher welcomed baby No. 2. It’s been a long road to the birth of this second Underwood-Fisher child, but now, the time has come to celebrate. Underwood announced the birth of her second child, a son, on Instagram and confirmed the name of her baby boy alongside some very precious photos. “Jacob Bryan Fisher entered the world in the wee hours of the morning on Monday…his mom, dad and big brother couldn’t be happier for God to trust them with taking care of this little miracle! Our hearts are full, our eyes are tired and our lives are forever changed. Life is good…,” Underwood captioned a precious photo set of the family meeting Jacob for the first time. All the photos are cute, but we might be melting the hardest over a photo of Fisher watching over their oldest son, Isaiah, holding Jacob in a chair at the hospital. There’s no indication yet that Underwood will continue to give us behind-the-scenes access into her first days as a second-time mom (which is totally understandable, because she’s bound to be busy! ), but we hope she does because we can’t get enough of these sweet updates. Underwood confirmed her pregnancy back in August 2018 when she simultaneously announced her “Cry Pretty 360” tour, which hits the road in May 2019. The news came on the heels of Underwood’s slow and steady return into the public eye after she was injured, sustaining a facial injury that kept her out of the spotlight. This, combined with Underwood revealing she had three miscarriages before becoming pregnant for a second time, makes this new baby news feel that much more joyful.